Alex De Minaur and Lleyton Hewitt have received a wildcard into the doubles draw of the Brisbane International. 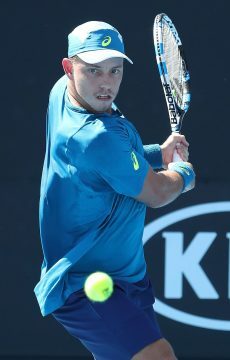 Lleyton Hewitt has received a 2019 Brisbane International doubles wildcard with Alex De Minaur. 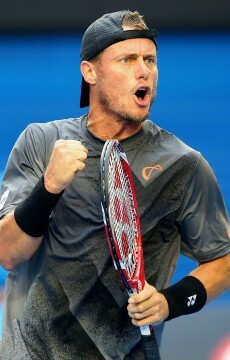 Two years after officially hanging up the racquet from singles play, Hewitt, 37, remains semi-active in doubles and will return to the scene of one of the most stirring victories of his glittering career. Hewitt is a confirmed doubles starter with fellow Aussie De Minaur at the season-opening Queensland event, where the two-time Grand Slam champion pulled off a shock win over Roger Federer to claim the 2014 Brisbane International singles title. 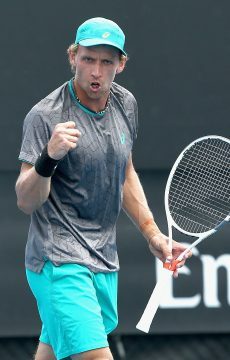 Hewitt has acted as a mentor for rising star De Minaur, who earned 2018 ATP Newcomer of the Year honours and was joint winner of this year’s John Newcombe Medal with Ash Barty. 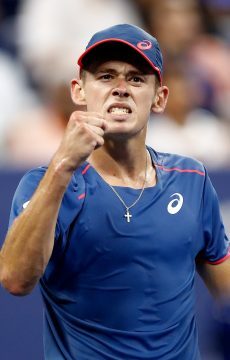 De Minaur surged from world No.208 to a career-high 31st in a stellar season. 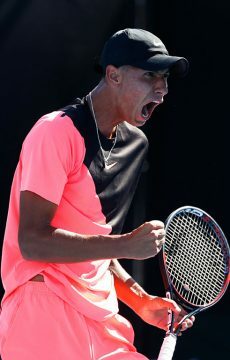 Hewitt’s guidance helped the 19-year-old De Minaur enjoy a breakout 12 months which began with runs to the Brisbane semifinals and Sydney final, earning the teen a Davis Cup debut. Now Hewitt will take on a hands on approach with De Minaur in Brisbane. 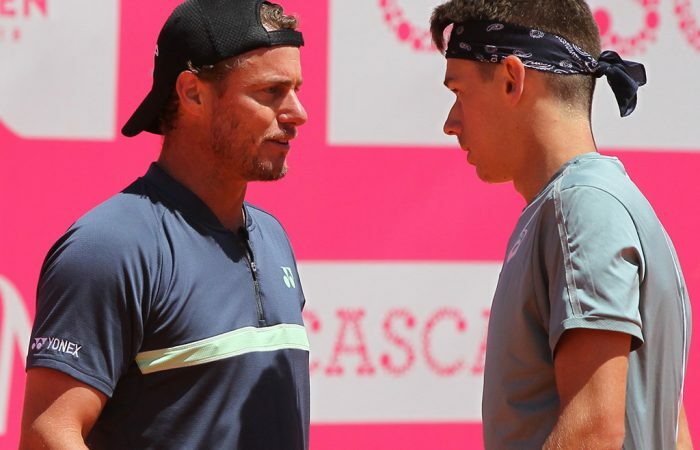 The pair have spent endless hours on the practice court together and this will not be their first time on the doubles court together; they combined to make the Estoril ATP quarterfinals in May. 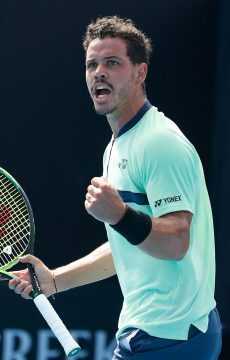 Remarkably, Hewitt is the world No.144 ranked player in doubles with a 6-7 win-loss record for 2018. 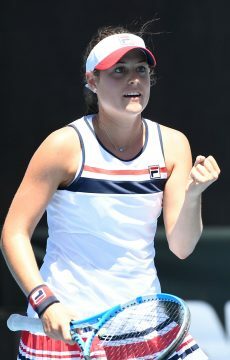 Among other Brisbane International wildcard recipients were former US Open champion Sam Stosur, Priscilla Hon and Kim Birrell, the latter who won the Australian Open Play-off this month. 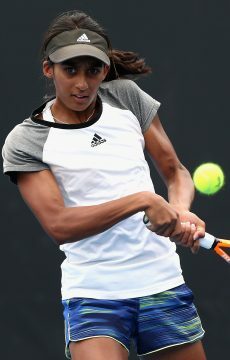 There were also main-draw wildcards for Alex Bolt, Alexei Popyrin and James Duckworth. 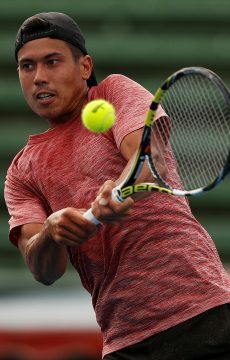 Yet in a blow for original wildcard recipient Jason Kubler, the Queenslander has been forced to withdraw from the tournament due to knee problems. 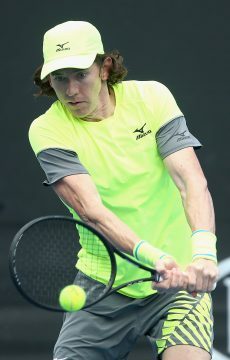 “He won’t be ready for Brisbane but is still planning on playing the Australian Open,” Kubler’s manager Belinda Colaneri told Brisbane’s Courier Mail. Qualifying wildcards have been awarded to John-Patrick Smith, Maverick Banes, Zoe Hives, Destanee Aiava, Lizette Cabrera and Naiktha Bains.